..we want you to register! I know, there's a lot of great stuff to read through on these forums, but we would really like you to sign up and contribute! Comment on things, post your own experiences, ask questions. We are a friendly bunch, and we don't allow insults and the other kind of garbage you might see on other social media. Yes! Please register and talk with us! Just watch out for DrHorribleTime! He bites! Maybe we should try a game.... we as signed in members seek inspiration about people needing to be here with us as signed in members. I'll go first. I feel there is a person,maybe a man. And they have a red car and are going through a haunting. But he/she is reluctant to sign in/join. You need to sign in and talk about it.... we're waiting for you! A couple bought a home and now unexplainable things are happening. They are not sure who to ask for help and advice... we are here! Please talk to us! A family keeps hearing banging sounds and don't know what to do. Ghost study can help with great advice. Come on.... don't be a lurker, sign in and talk to us. As frazer would say, "I'm listening". And even better, we're listening. Yes! I feel there is someone (you) that wants to join us but is a bit timid or shy..... Don't be - that was me a couple of years ago & I ABSOLUTELY love it here. We have grown close like a family. I suppose it's because we are. Please just give it a try and I promise you will not regret it. Glad to have you join in! We have something in common with you.... we find the paranormal interesting and we're looking to make new friends too! Hello reluctant! Glad to have you with us! Hello; I've never really done forum stuff before, and I was [still am] really nervous/timid/shy about coming here, but when I saw all these nice messages I decided this was the perfect place to be my first forum. Thank you all! Thank you VlawdeGStudy! I've never really been a Facebook kind of guy, and I don't have anything like twitter or tumblr, either. The place I visit most is Youtube, honestly. I especially like listening to the collections of scary true stories read by youtubers such as Mr Nightmare and Be Busta, if those names ring a bell. 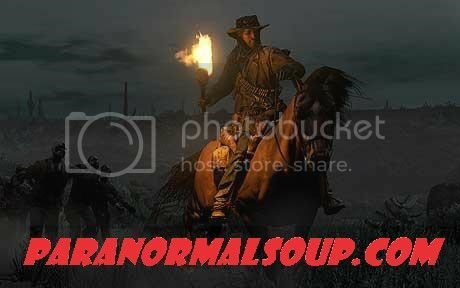 I've already been surfing around the ParanormalSoup website, reading before I got the courage to sign in here. I like the friendly atmosphere here; so far I haven't seen any negativity, and that's awesome! Welcome SpookySeth..... as Taylor Swift would say.... "It's been waiting for you!". Or is that about New York? No, I think she was referring to our forums. I hope you enjoy your time with us... and if you have any questions, just let us know. We can even clue you into the secret areas now that you're a member.